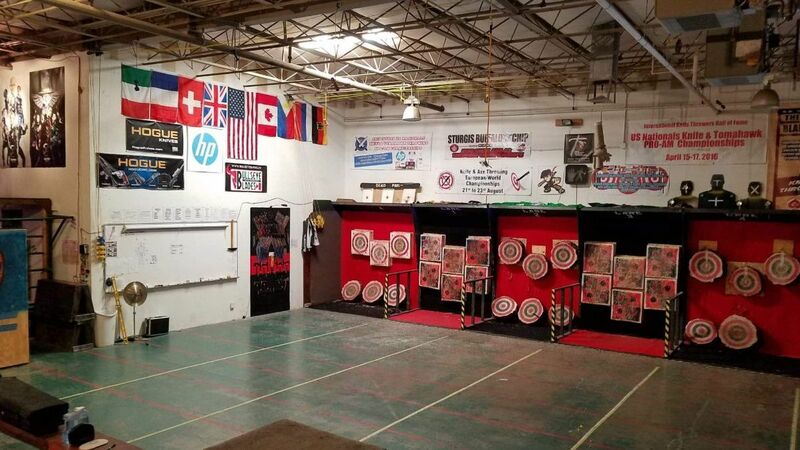 2,750 sq ft warehouse used as a working martial arts facility with five 10 meter long lanes for knife, axe, etc throwing practice. 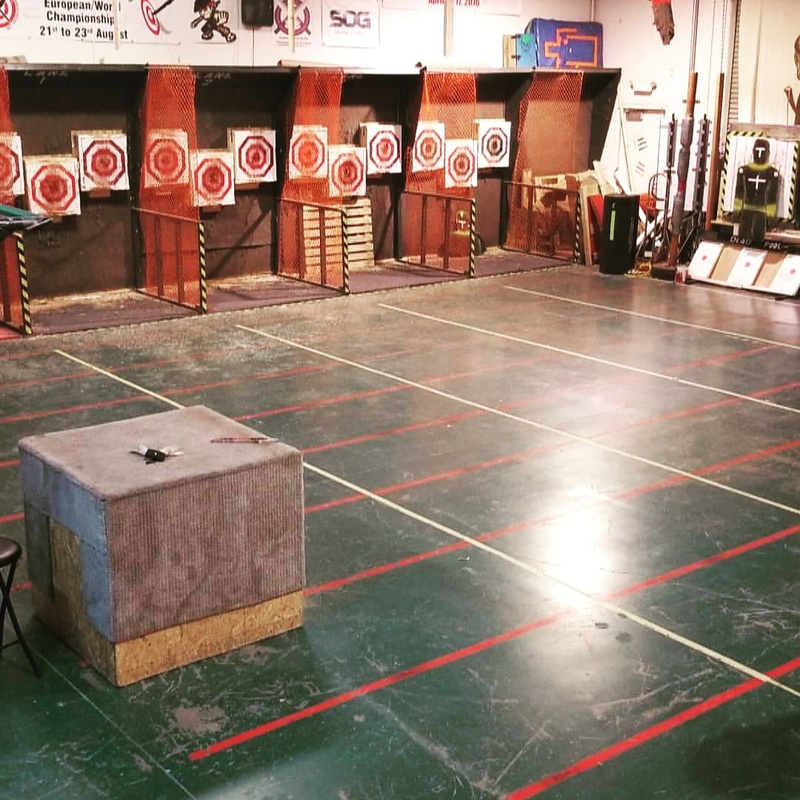 Used for martial arts training, US National championships for knife and axe throwing. 32 feet of carpeted bleacher seating. 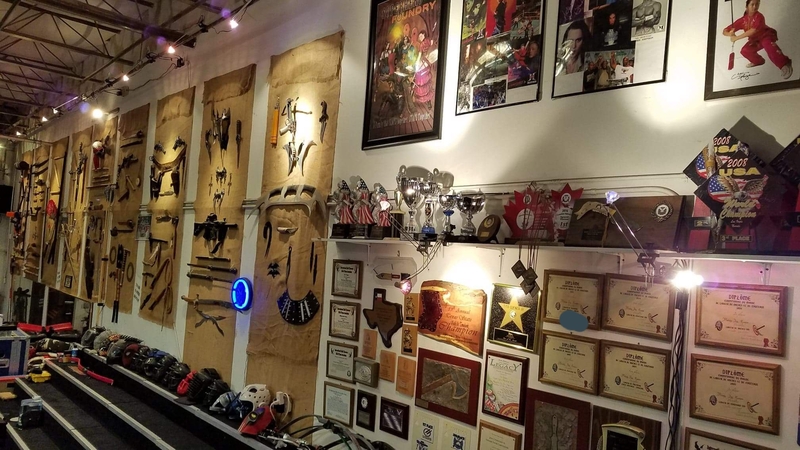 Walls are decorated with multiple displays of exotic weapons. 19 foot ceilings with two 14 foot roll up doors and two exit doors in warehouse. Front lobby is used for retail sales. 5 minutes from McCarran Airport and 7 minutes from strip. Used for practice sessions by international magicians like David Blaine, Jonathan Goodwin, Jonathan Pendragon and more. Also used as unique location for martial films and videos. Plenty of outdoor parking and very little traffic in the area after 6pm and on weekends. Warehouse is 2,000 sq ft. Retail area and office are 750 sq ft. Practice facility and segments for David Blaine, Jonathan Goodwin, Jonathan Pendragon and others. Various fan films. Blade Aces Knife and Axe Championships. Martial arts competitions.